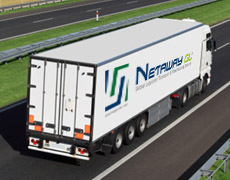 Providing fast, reliable, reasonable land transportation services, Netaway Global Logistics & Transport Services Trading Limited always adopts it as its principle to carry more freight at a more reasonable cost and in the fastest way possible. In compliance with the advanced technology, it renews tools and equipments, delivers freight of all weights and all sizes to its destination reliably through the land route, sea route or by rail, whichever one is required. It determines all the details from the place the freight is located or produced, from the time it’s loaded into the vehicle to the address it will be unloaded or delivered at one by one and informs its customers automatically through internet or fax communication. Handling, clearing, intermediate transportation services (roro).